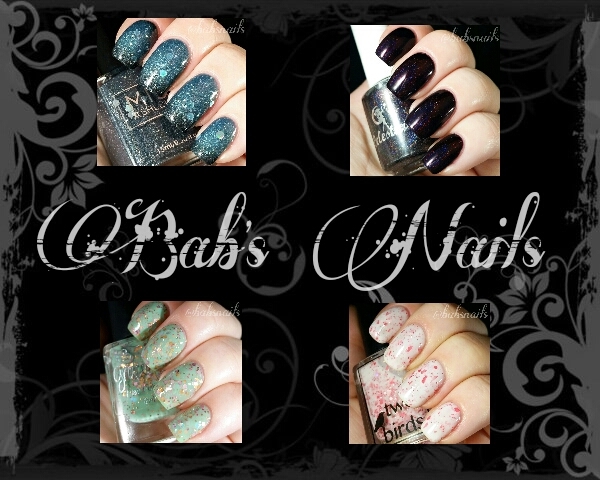 My swatches are all three coats to really show off the gorgeous depth of colour in these polishes. Two coats are more than enough to reach opacity for everyday wear though. 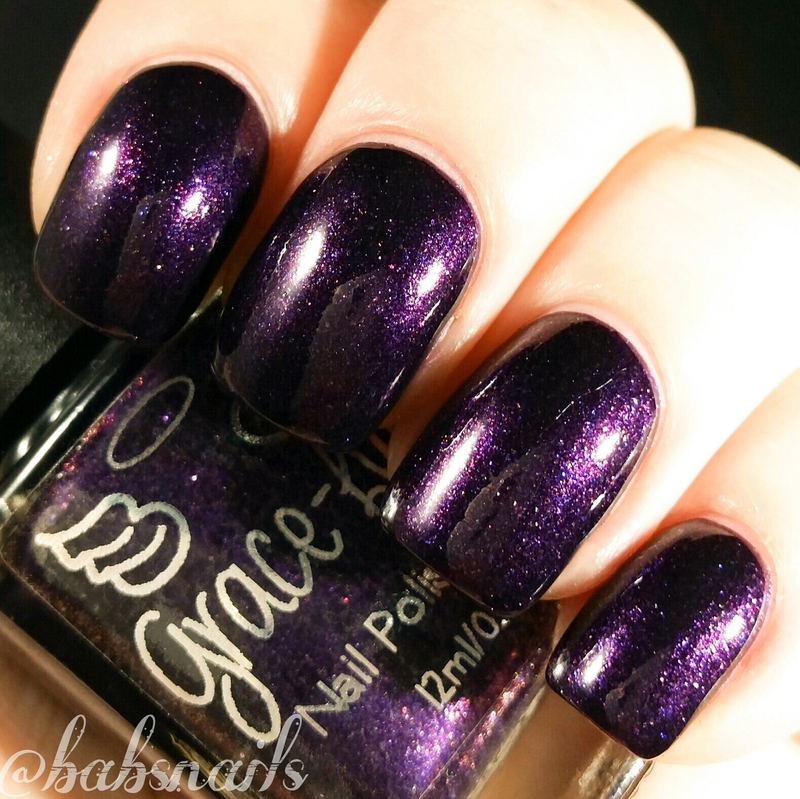 I have used Grace-Full’s Quick Dry Top Coat to finish off my swatches with a great shiny and smooth finish. All swatch photos were taken under artificial lights using LED daylight globes in a lightbox. APPLICATION – Easy and smooth with great coverage. 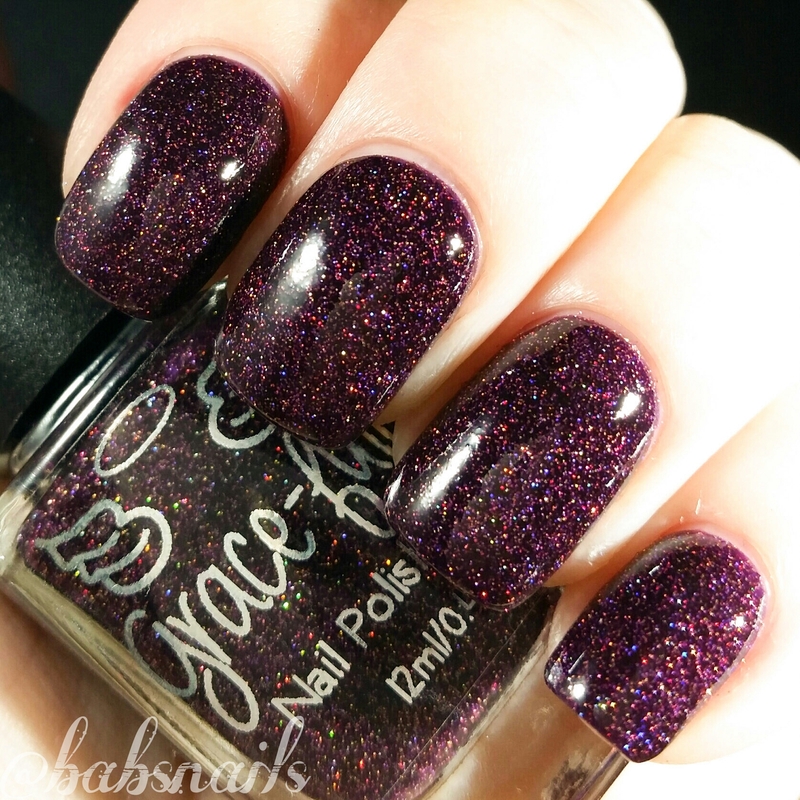 COLOUR DESCRIPTION – A beautiful sparkling deep purple with pink, brown and purple flakies. 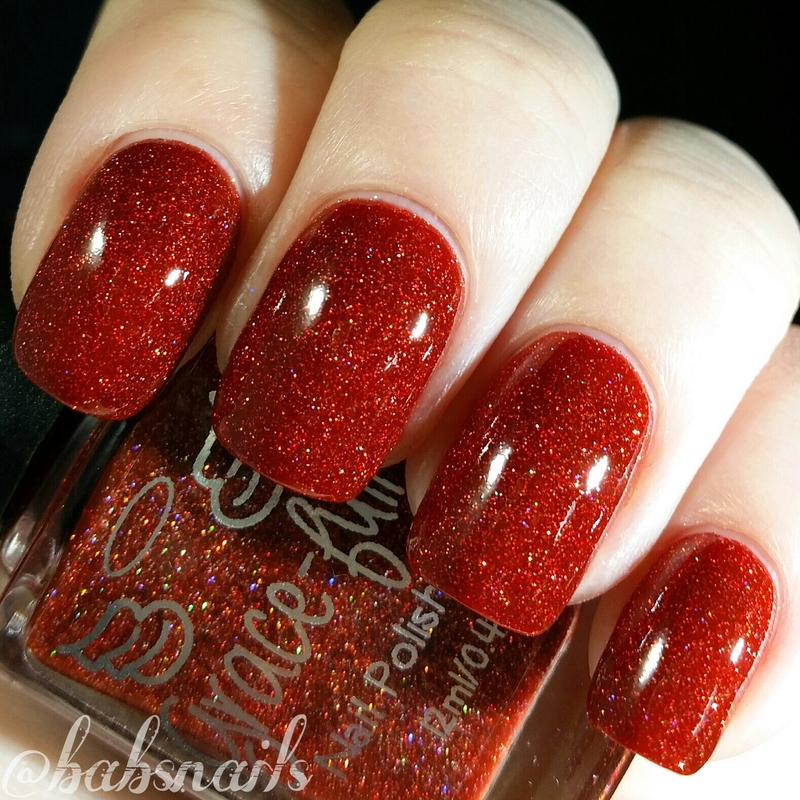 This polish is just devine! The depth of colour is just stunning! APPLICATION – Easy with nice coverage. 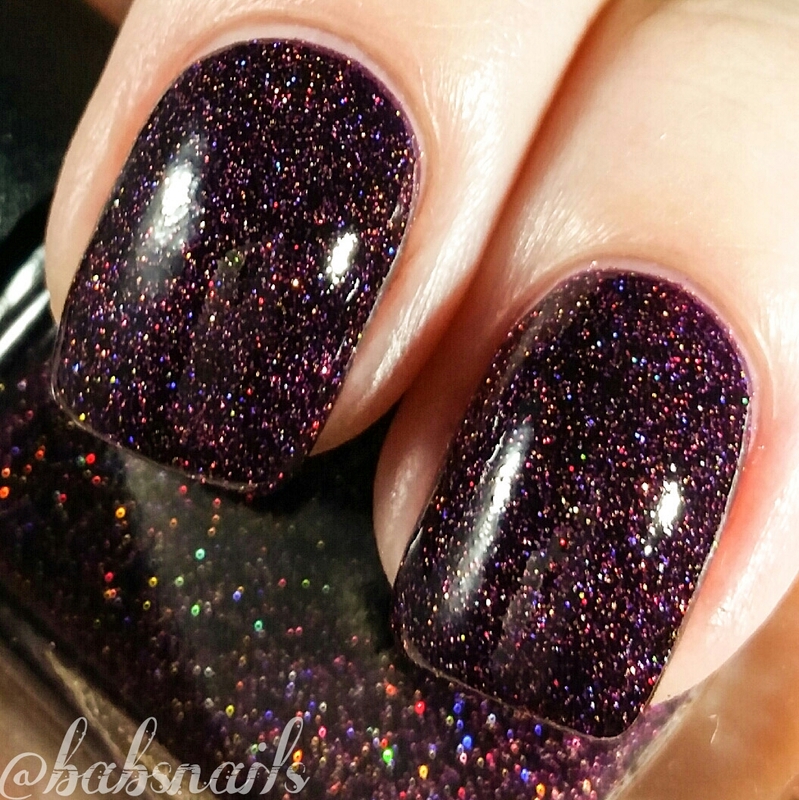 COLOUR DESCRIPTION – A deep plum jelly base filled with gold, purple & holo micro glitters. 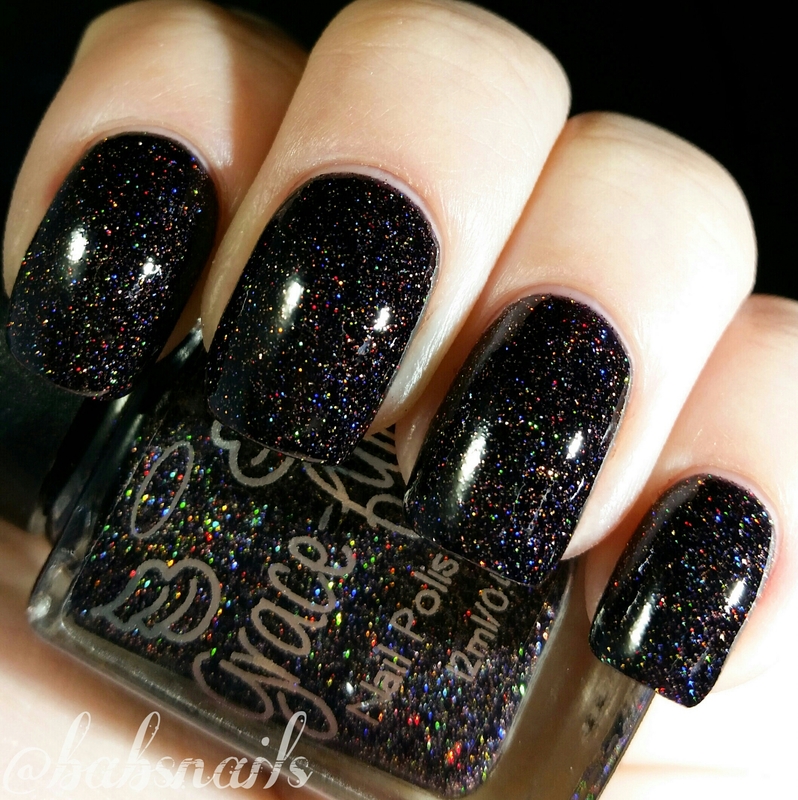 So sparkly, with a rainbow effect given by the holographic glitter. 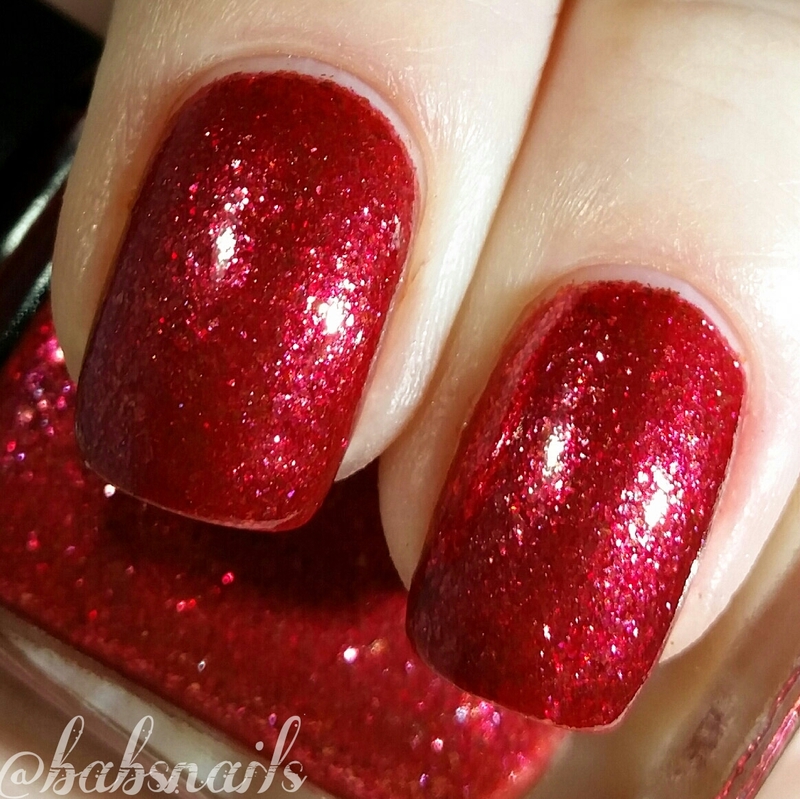 APPLICATION – Plenty of flakes with a nice smooth finish. 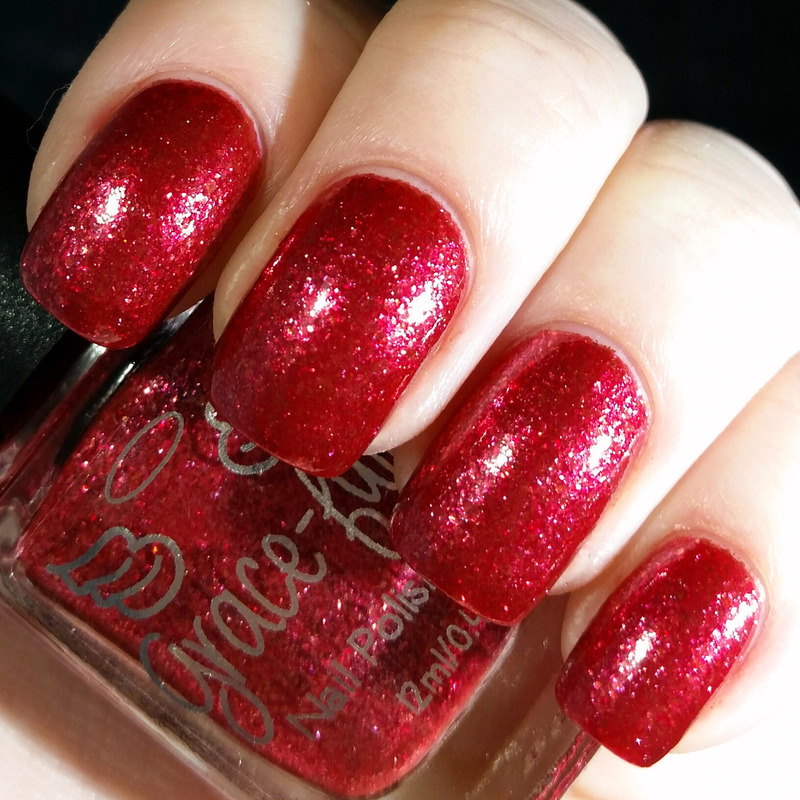 COLOUR DESCRIPTION – A vibrant red with stunning metallic red flakies throughout! 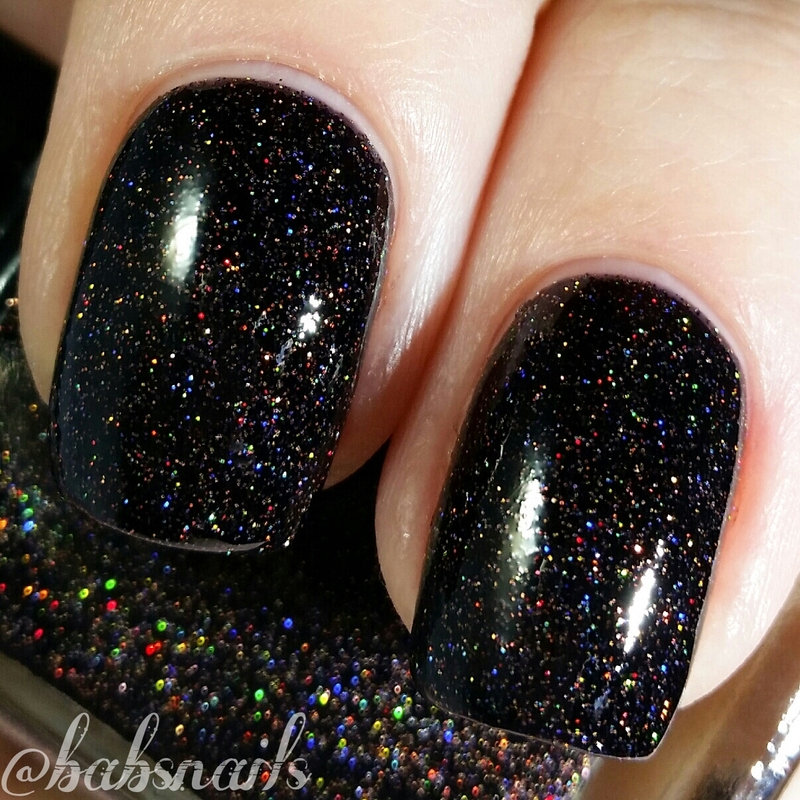 The flakies really give this polish an amazing finish! APPLICATION – Glides on wonderfully. 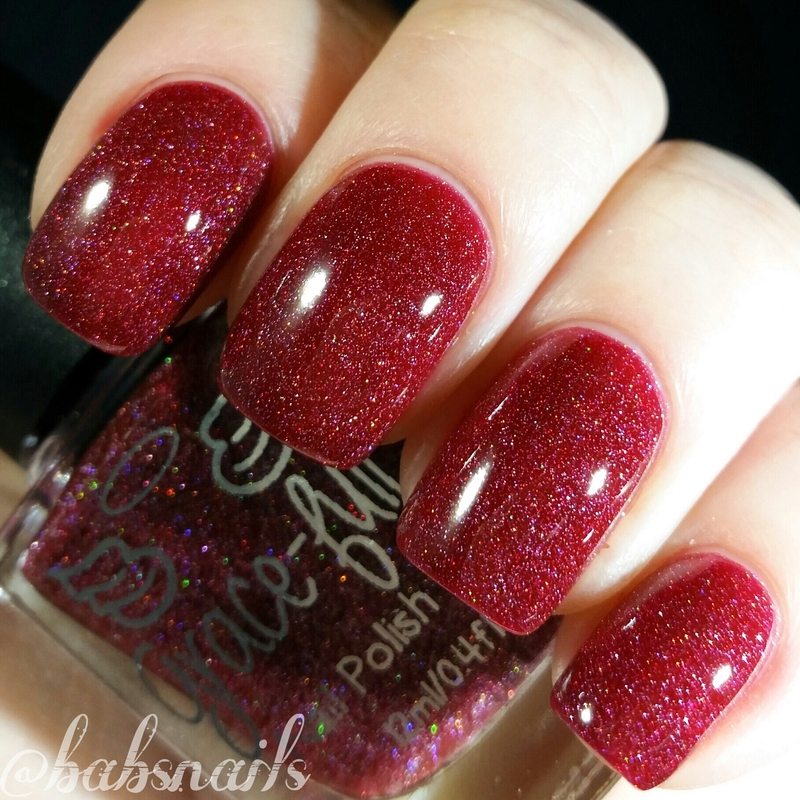 COLOUR DESCRIPTION – A juicy jelly base with a stack of super fine shimmering glitter. This is an awesome squishy jelly, so pretty! APPLICATION – Another great, smooth application. 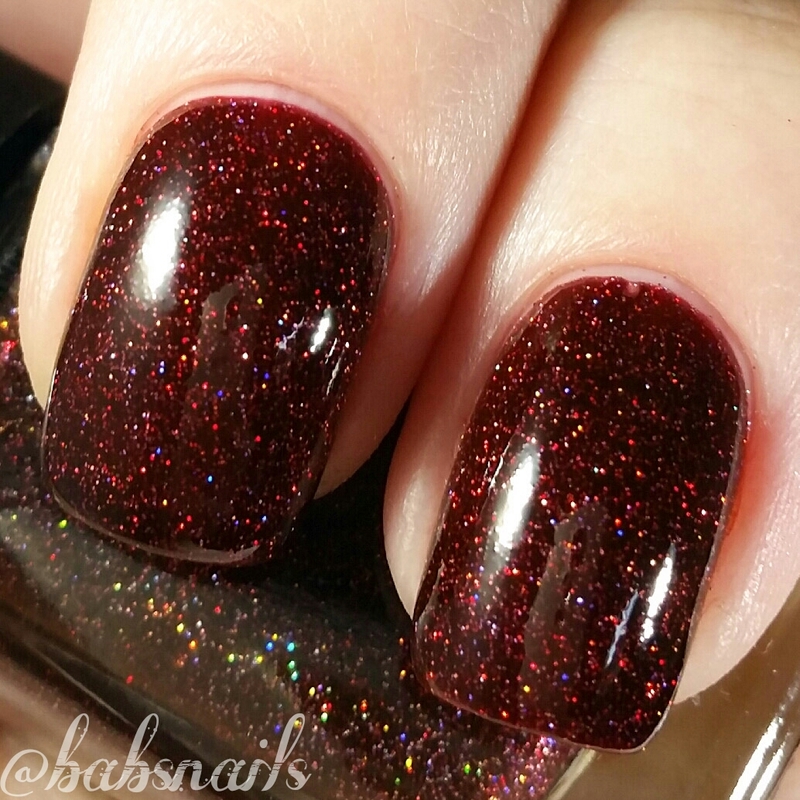 COLOUR DESCRIPTION – A black jelly base with tons of super fine red, copper & gold holo glitters! My fiancé said it reminds him of a glalaxy! APPLICATION – Easy with nice finish. 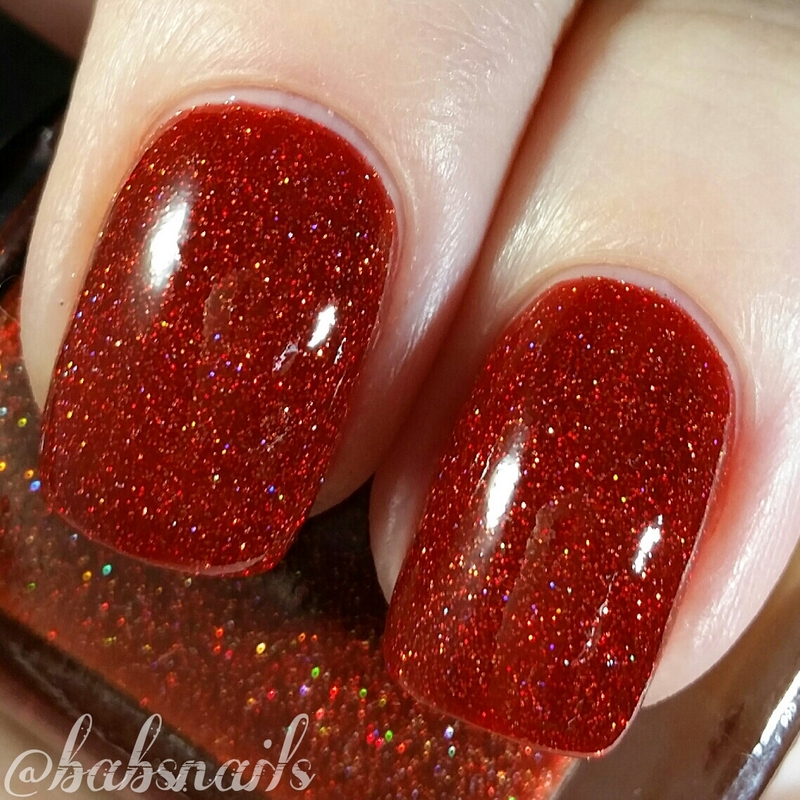 COLOUR DESCRIPTION – A deep firey orange jelly base with red, gold & holo micro glitters. 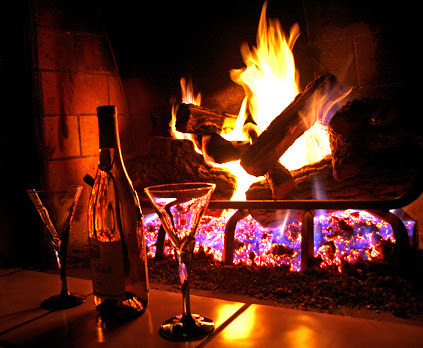 Such a warm and cosy shade. APPLICATION – Again nice and easy. 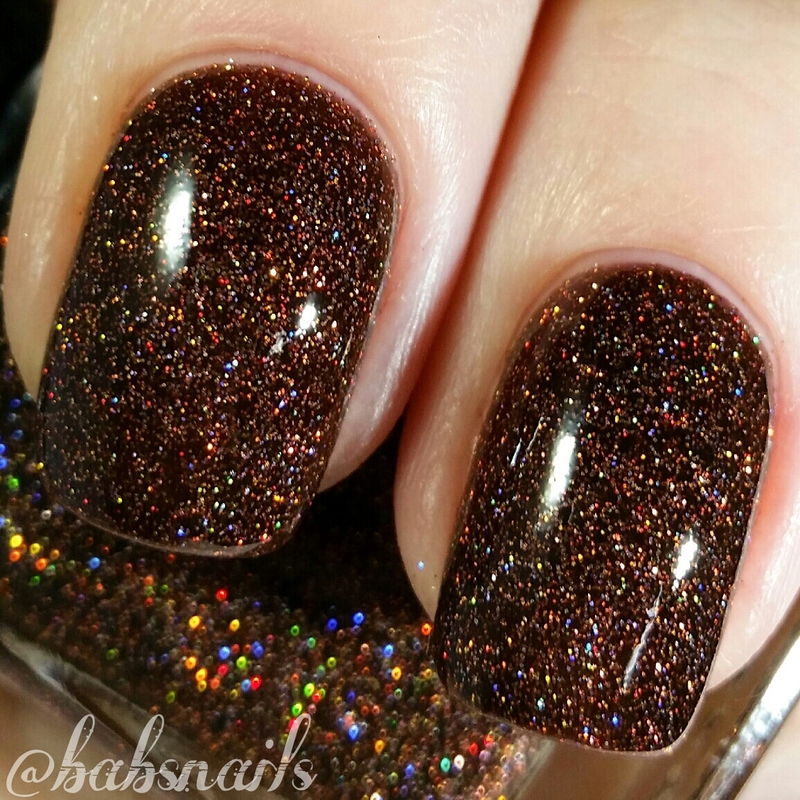 COLOUR DESCRIPTION – An autumn brown jelly base with gold, copper and red fine holo glitters. 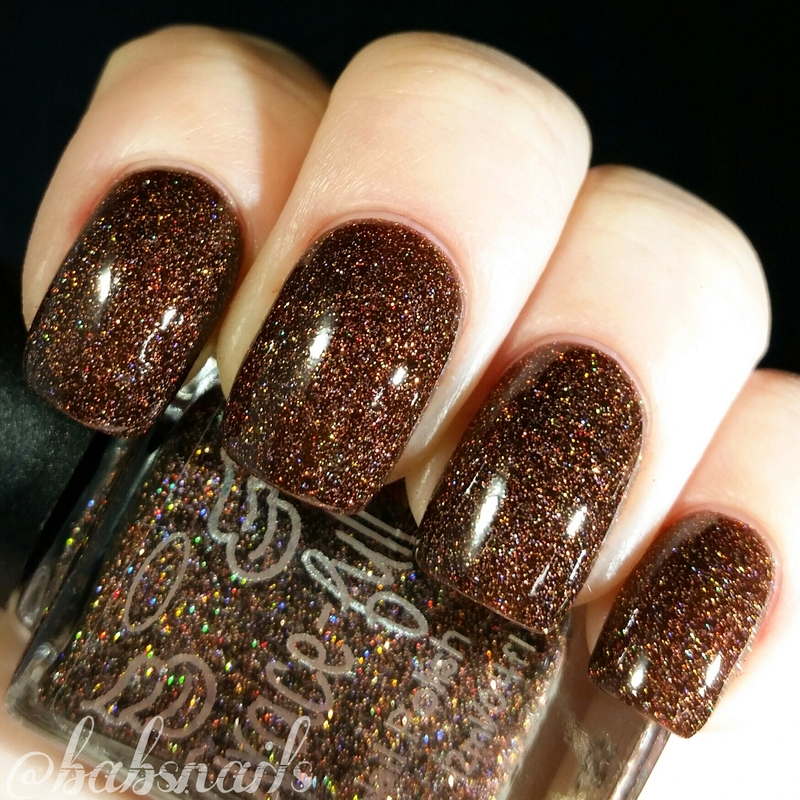 I never thought I would love a brown polish but this one is actually my favorite in this collection and will definitely be worn again! APPLICATION – Perfect with great opacity. 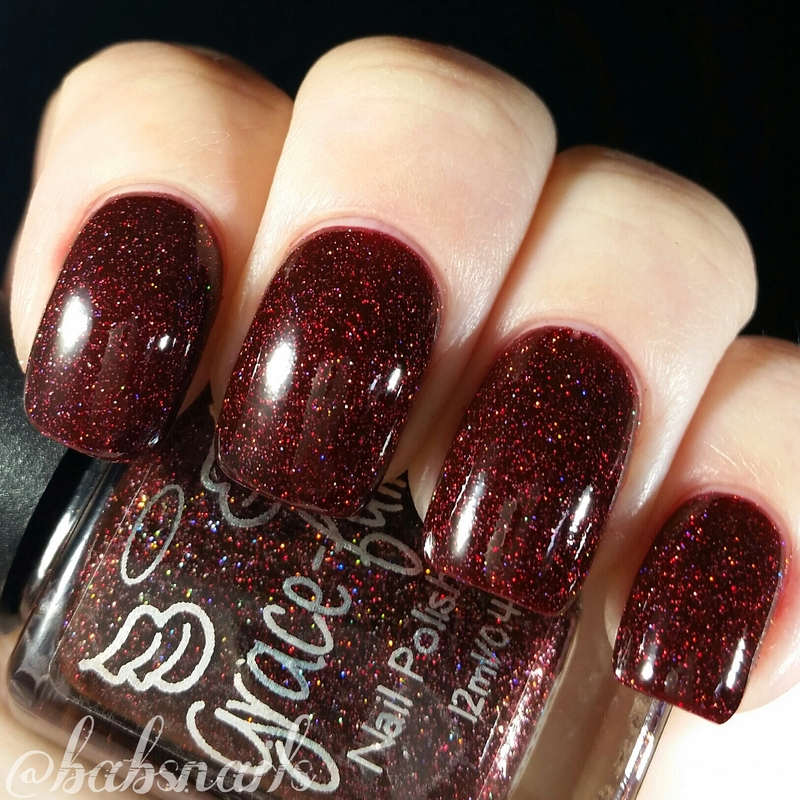 COLOUR DESCRIPTION – A deep wine red with copper, red and holo micro glitters. 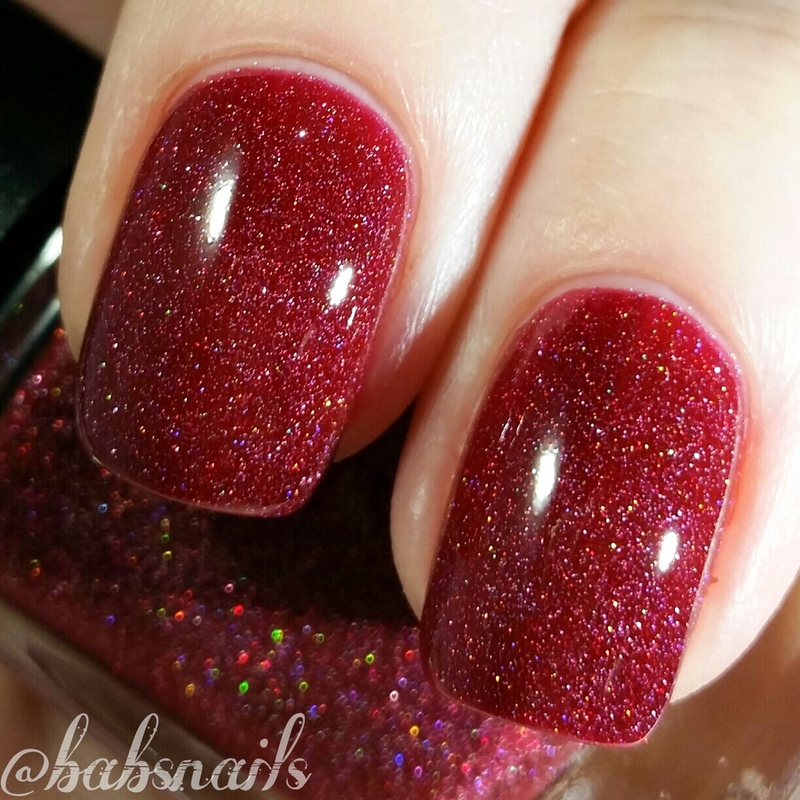 I love the rich colour of this polish! In terms of application and finish this collection would have to be one of the nicest I have swatched, all the polishes were a breeze to use and to clean up! 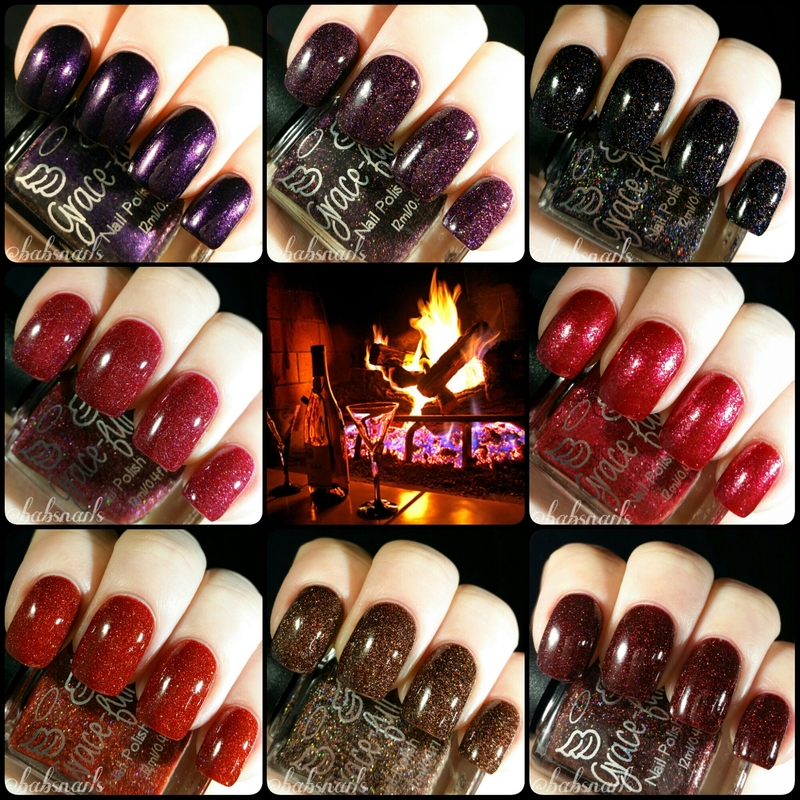 If you love autumn coloured polishes with some flare these are for you!